Exhibit Poster -- designed by Zion Um. 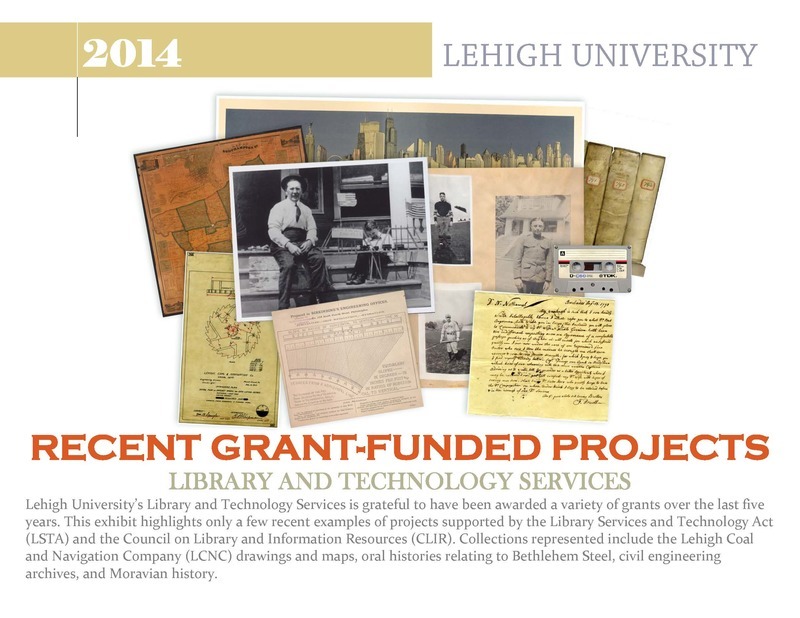 Lehigh University’s Library and Technology Services is grateful to have been awarded a variety of grants over the last five years. This exhibit highlights only a few recent examples of projects supported by the Library Services and Technology Act (LSTA) and the Council on Library and Information Resources (CLIR). Collections represented include the Lehigh Coal and Navigation Company (LCNC) drawings and maps, oral histories relating to Bethlehem Steel, civil engineering archives, and Moravian history.